At TrustedCleaner we spend time hand-picking, short listing and vetting cleaning companies. Below you’ll find our short-list of recommended carpet cleaning companies on the Gold Coast, QLD. We provide this service because we know finding a reputable and reliable local business can be challenging, and we see the damage / stress dodgy operators can cause. Not only are Coastal Cleaning Solutions one of the largest Gold coast carpet cleaning companies, they are also one of the most highly recommended. Their commitment to using the highest quality equipment, the latest products, and the best technicians makes them stand out from the crowd of ‘average’ businesses. They’ll make your carpets, rugs, upholstery and tiles look like new again using powerful truck mounted machines and a specialist hot water extraction / steam cleaning process. Their team is available 24/7 and are experienced in dealing with emergencies and flood-up clean-up. You know a company must be doing something right when they’ve been going for over 35 years! The secret to their success? They put their customers first, and always try to meet (and exceed) expectations. Many carpets cleaners come and go, but Big Red Gold Coast have firmly established their reputation as one of the premier companies in the local area. Because their staff have been full trained, and they invest time and money to upgrade to the latest equipment / learn the latest cleaning techniques, you know your carpets are going to look great when they’ve finished their work. Don’t leave your carpets in the hands of unskilled or inexperienced technicians, talk to the professionals. Don’t forget to ask them about their current special offers. As well as being recognised as one of the most reliable and trustworthy quality carpets cleaners locally, Steamatic Gold Coast provide a wide range of home and commercial services. They are experts in restoration and flood clean-up, as well as offering specialist indoor and outdoor cleaning services. When you hire the team at Steamatic Gold Coast you know you are going to get a professional company who takes pride in doing a great job. They want you to be thrilled with the end result, and are confident you’ll love your clean, fresh looking carpets. We are sure you’ll also enjoy their attention to detail and focus on customer service. The three Gold Coast Carpet Cleaning experts listed above have been hand-picked. These are businesses who go above and beyond to ensure your carpets are left sparking clean, and you are completely satisfied. Don’t take a risk: Choose a TrustedCleaner Recommended Company. Cleankill offers a variety of services including stain removal, steam carpet cleaning, commercial carpets and fabric upholstery cleaning. They operate throughout the Gold Coast and are fully insured. Cleankill uses anti-allergen and hypo-allergen cleaning, deodorizing and rinsing products. They are a family owned business who employ experienced technicians trained & accredited by the IICRC. Their technicians also hold full Queensland General Pest Control and Termite licenses. Ezydry Carpet Cleaning provides domestic and commercial carpet cleaning services on the Gold Coast and in Brisbane. They provide competitive pricing on all their services and specialise in upholstering cleaning, carpet cleaning, mattress cleaning and fabric protection. The company guarantee their telephone and online quotations. They provide free quotations (via their website) have a team of professional staff. A 100% money back guarantee is available on all their services. <strong>All Carpets Cleaning</strong> & Repair specialises in carpet cleaning, water damage repair and upholstery cleaning. With multiple locations throughout Australia, the company offers assistance with flood damage emergency needs. Their cleaning team uses non-toxic and environmentally safe products. They are fully insured and can also provide leather cleaning and conditioning services. A 100% satisfaction guarantee is available along with a 24/7 emergency call out service. How Does Our Vetting and Verification Process Work? We want to make it quicker and easier for you to find the best local companies, and in the process help businesses who care about their customers grow and expand. Whilst we are not perfect we do try our best to bring you a short-list of the leading providers in the Gold Coast area. If we’ve missed a business you feel should be on this list, please nominate them. Then we conduct ‘mystery shopping’ exercises and interview the owner / operator, and check paperwork to make sure insurance / licenses are in place. Finally we ask the business to agree to our customer charter which describes how we expect a business to treat their customers (verified companies only). If a company makes it through each of these steps with flying colours, they make it on to our website! Be on alert for companies offering special offers that sound too good to be true. They are! Once they arrive are your house the carpet cleaner (also known as a high pressure salesman) will use every trick in the book to ‘upgrade’ you to their ‘deluxe’ service – which is usually no more advanced than a basic clean with a reputable company. 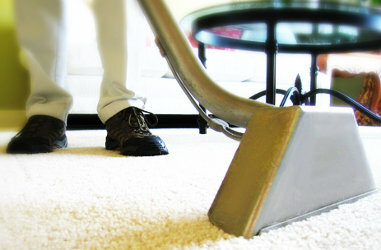 Getting a carpet clean, removing bugs and soil, and protecting for years to come is the job of a trained professional. Not someone who went our a purchased a machine and is calling themselves an expert. Always check that the person who will be doing the training has at least 3 years experience and a recognised training qualification (ideally from the IIRC). In addition to carpet cleaners, we like to feature other industries at TrustedCleaner. We’ve recently complied our recommended rug cleaning, tile cleaning, upholstery and end of lease cleaning companies who service the Gold Coast, QLD. Our outdoor cleaning experts include window and gutter cleaners in south Queensland.